Understandably, the column only ran for a few months - probably because of his extremely busy schedule. I did a Google search to try to find information on Paul Harvey's modeling activities, but could not find anything at all. 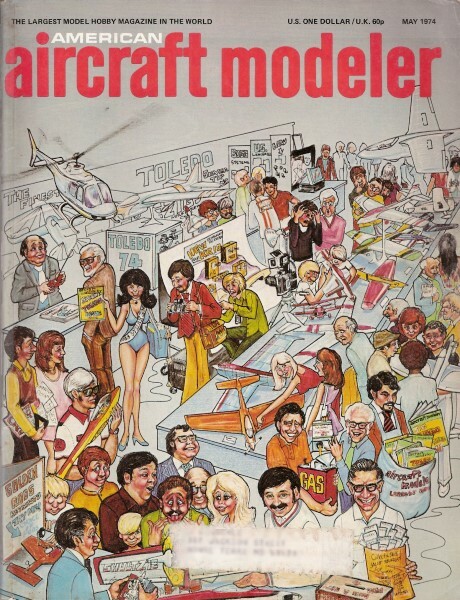 That is when I decided to go ahead and reprint this one article from the May 1974 edition of American Aircraft Modeler. I hope he won't mind. There was an article in the February 2008 edition of Model Aviation that featured a short article on the saxophone player for the Rolling Stones, Bobby Keys, who is also an avid RC modeler.